Girl In a Wetsuit is a statue in Vancouver, B.C.’s Stanley Park taken after the famous Little Mermaid statue in Copenhagen, Denmark. Because the original is still under copyright until 2029, it can’t be reproduced. Vancouver decided to avoid legal action by modernizing it, making The Little Mermaid a diver instead. I like the idea! My photo is, sadly, one of the disadvantages of not having a camera with a lens. I like the ambiance, but you can’t see what this is a photo of specifically. Here is a photo that will give you a better look at the detail. 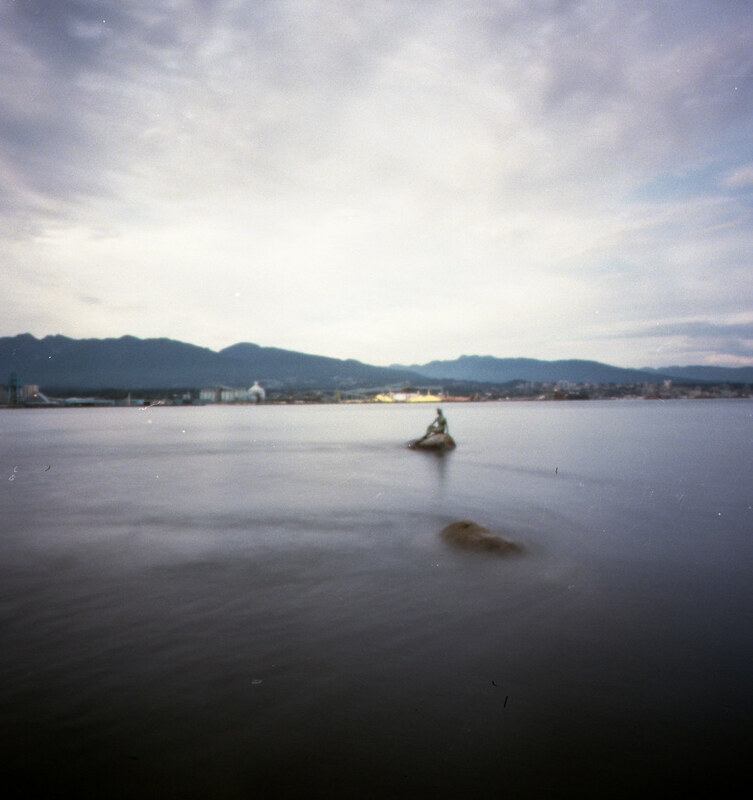 New blog post on Pinhole Obscura about an interesting sculpture I visited in Vancouver B.C. What are you talking about? It’s still a great picture. Besides, you can always make a telephoto pinhole camera. Try that next.